Secrets of Santorini wine. The most unique in the world. When you hear the word “Santorini”, there are two things that come to mind: the volcano, accompanied with the cliffs and the magnificent view, and of course the wine. The island of Santorini has a tradition when it comes to wine production, and it’s not something that it managed overnight. Wine grapes are cultivated on this rocky piece of land, for more than 3500 years. There are few things to which Santorini wines owe their taste. After the explosion of the volcano, all the land of Santorini was covered with volcanic dust, therefore the ground has absence of organic substances, which plays an important role in grape taste. But that’s not all! The islands’ climate is the most important. Santorini is the southern of the Aegean Islands where the strong northern winds and lack of rain, are the main weather conditions. In that kind of environment, is difficult for vine louse to survive. 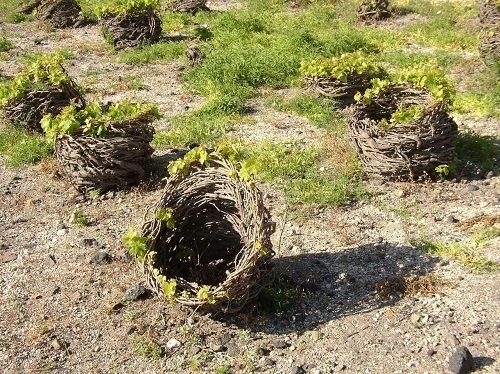 Grapes in Santorini have a characteristic shape. The body is twisted in a cycle and develops close to the ground, looking like a basket. The grapes are located “in the basket” and therefore protected from the wind and dusty environment. That shape also allows the plant to absorb the humidity more efficient, since the rainy days are very rare. The most well-known wine variety of Santorini is called Assyrtiko. Be careful! This variety comes from Santorini but there are attempts to produce it around the world, but with less success! It turns out that the original taste of Assyrtiko, with its sharpness and “soil feeling” can be “born” in only one place. 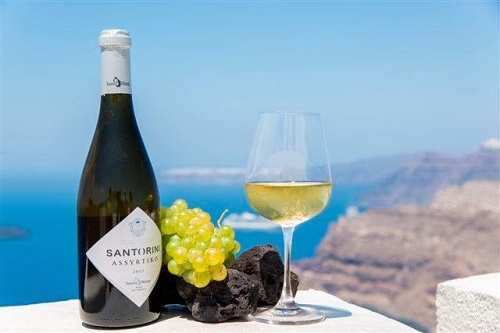 Assyrtiko is the main variety and it covers about 80% of Santorini wine production, but the other 20% also consists of local made high quality beverages. Mavrathiro and Vinsanto are the varieties you should try when you visit Santorini. Mavrathiro it’s a red wine, a local version of Athiri variety. On the other hand Vinsanto it’s a white and sweet wine, which matures in wooden barrels for at least two years. It’s a perfect drink to accompany sweets after dinner. If you like red and “heavy wine”, Nykteri is your choise. Its alcohol percentage has to be at least 13.5%. The grapes used to make Nykteri are cropped during the night or early in the morning and transferred as quickly as possible to the winery (the traditional wineries in Santorini are called “Canaves”). That is because the sun has a negative effect on the grapes. There for the name of the wine: Nykta = Night. 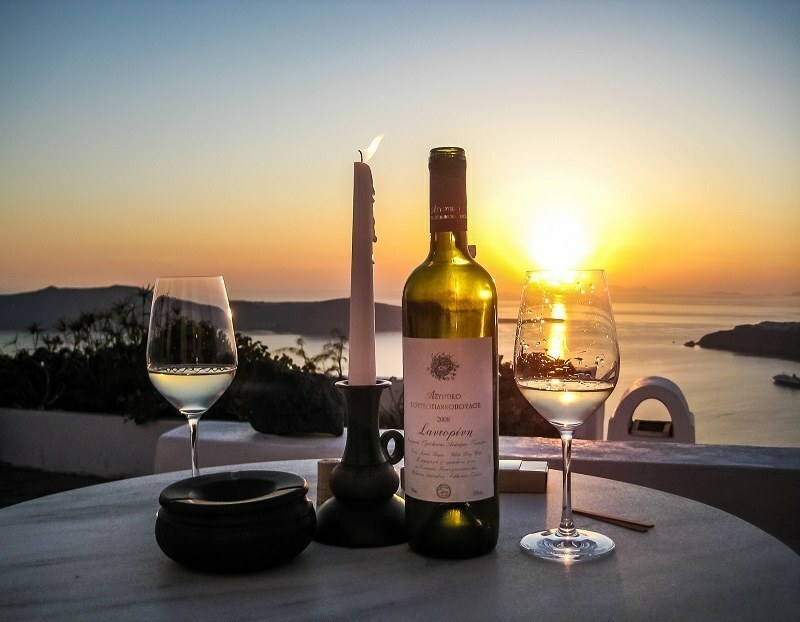 When you visit Santorini we suggest that you take a wine tour. This is a fantastic way to get to know, not only the brands and wine varieties, but also the people that make them. 5 things you have to do before travelling to Santorini.